Well we are off to a good start for the fall orienteering series. Over 40 people attended the first event, and the weather cooperated. No snow. A special thank you to MIchael S for course planning and setup. One of our newest arrivals Jan also helped with course setup. Michael and Jan are both extremely fast and experienced orienteer's and are members of our National Team. At this time 40 people including SOGO3 have opted into our fall series. With 6 races remaining and Rumsey Forest event, it is not too late to join. All race time will be adjusted so everyone has a chance to win. Thank You to Clarence, Karen M, Bogi, Bob M. Tory, Soma, Flora, David R, David C for helping out. See you at our next event at Rumsey, on Thanksgiving weekend. The start location can be found on the Google maps Widget below. But it is just south of the Repsol center. No metal spiked shoes, as most of the courses are on pavement. 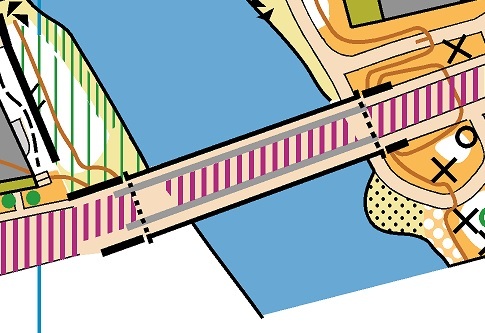 There is ONE artificial fence that won't be in the terrain but is marked on the map with a thick pink line (affecting courses Intermediate and Advanced) and should be treated as if real [imagine that it is there] as it helps create route choice. There are 2 bridges on the map with main roads going across them. If your route choice leads you across one of these than please stay on the sidewalk as you use the bridge. If you need to cross to the other side loop under it, not over it. This year's fall series will consist of 7 races locally in Calgary. In addition we also be hosting an 8th race a Forest event At Rumsey in honor of Adrian Zissos. This year’s fall series will track race results for all Fall Season pass holders For all events .The top 4 race events for each Participant will be used to determine overall results. Results will be handicapped so everyone has an opportunity to win. •Fall Series consists of 8 events. 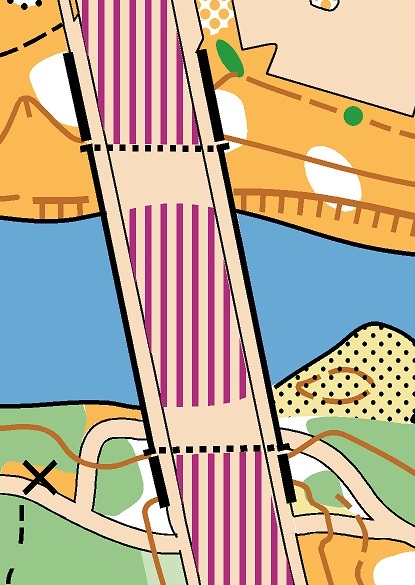 5 sprints and 3 forests(Proposed). •Middle event for Club championship at the Ranch at Fish Creek. •Sprint event for Club championship to be held at SAIT and Riley Park. •All participants must be members of the association for 2018. Fees for the 7 event are as follows. Rumsey event will have its own fee structure. •$20.00/person for the fall series + $5.00/map. 4 events are needed for the series. $40.00 will be charged to these participants, which includes 4 races, any additional races would be $5.00 each. •$10.00 / map for each event. For new people this will also include a membership which will expire at the end of 2018. D)All other SOGO Participants -$5.00 / map with no commitment to enter series.